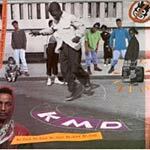 KMD's CLASSIC album Mr. Hood is as fresh as EVER! 2014 re-issue for all you MF Doom fans trying to collect everything he's got!